For many years, I was a bit of a picky eater. Hamburgers, french fries, and salad with thousand island dressing were some of my staples. And not fast food hamburgers—we didn’t have fast food joints out in the country. Of course, I ate other things too, since my Mama wouldn’t cook hamburgers every day. But I would not eat salad without thousand island dressing. Fast forward, and now I don’t eat salad with any creamy dressing, much less thousand island. I’m a vinaigrette girl all the way, preferably homemade. I usually throw together balsamic vinegar and olive oil, but I came across a new favorite last year when I was perusing Southern Fried French, one of my favorite blogs. If you haven’t visited this site, you are missing out. Lynn McBride and her husband are from Charleston, South Carolina, but are currently living in France…in a 14th century château. 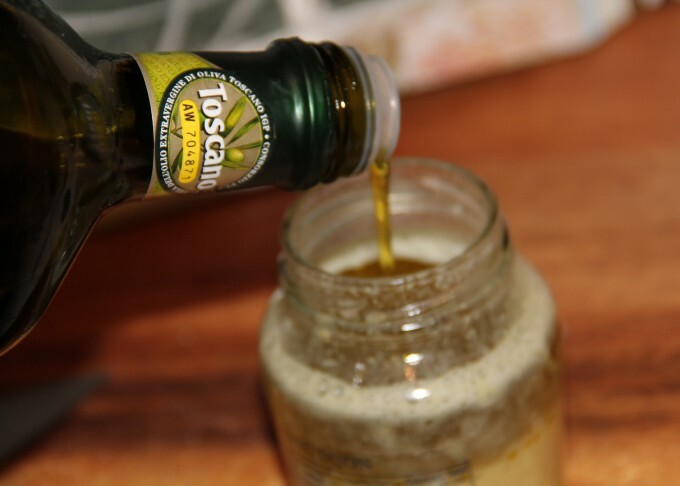 Back to the dressing: it’s made with fresh lemons and olive oil, and is perfect over field greens or any type of salad. Start with freshly squeezed lemon juice. Lynn says to add a minced shallot but I’m usually in too much of a hurry to do that—though the dressing does taste snappier with shallot or garlic added. 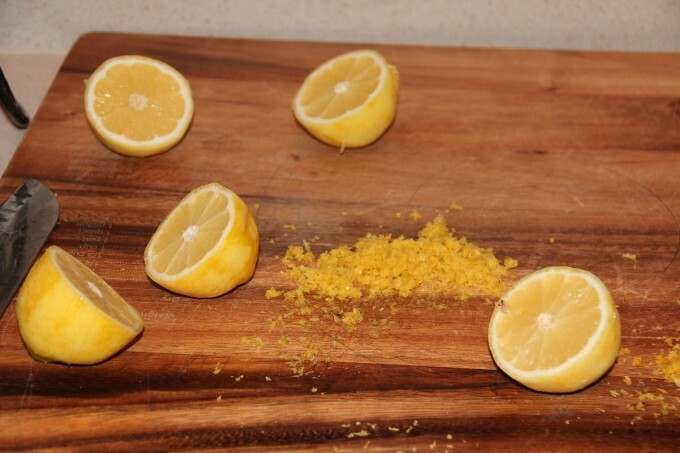 Drop in some sugar to cut the tang a little. Add some Dijon mustard and give it a good shake. Next you need to add olive oil. 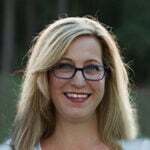 Let’s talk about olive oil. 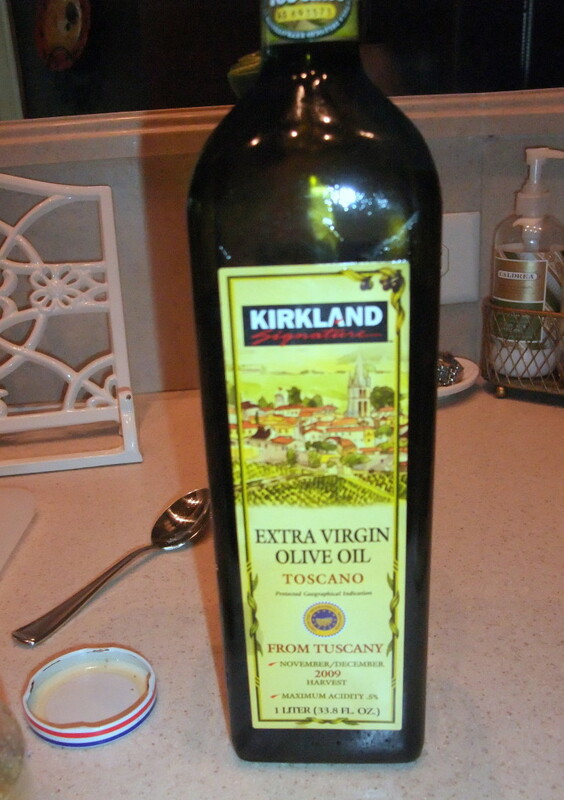 My favorite is the Kirkland Signature Extra Virgin Olive Oil from Tuscany. It’s seasonal and comes in a tall, slender glass bottle. Usually shows up in the warehouse after the first of the year and disappears by summer. Last year, I didn’t buy enough and my local Costco ran out. It was summer and I only had a couple of bottles left so panic set in. To tell you how much I love this olive oil, I called around to every Costco within about a 100 mile radius and finally found one that still had several bottles in stock. I drove an hour and bought a case. So, there you have it. This stuff is good! That’s it. The dressing will keep for several days in the refrigerator, though mine never lasts that long. Check out the recipe on Southern Fried French and take a look at that Chateau–it is beautiful! A tangy vinaigrette that's simple to make and dresses almost any salad perfectly. Fill container 1/3 with juice or vinegar. 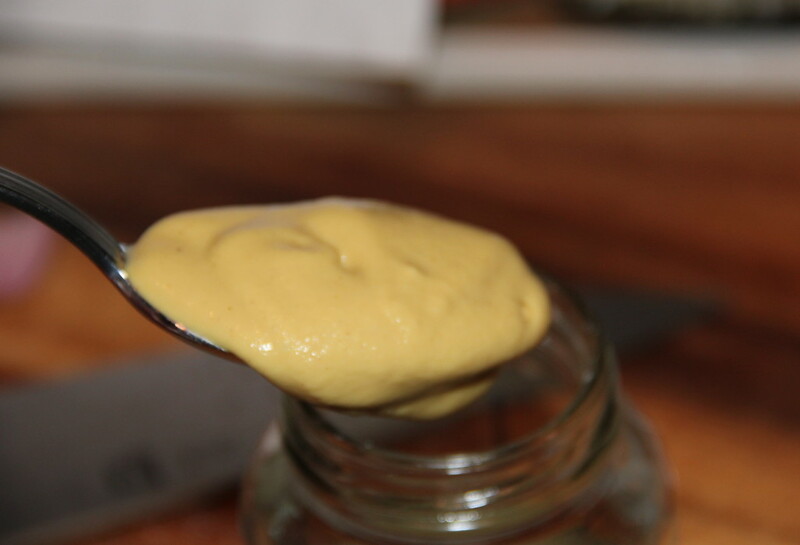 Add a large dollop of Dijon mustard (depending on container size, you might want to add a little more). 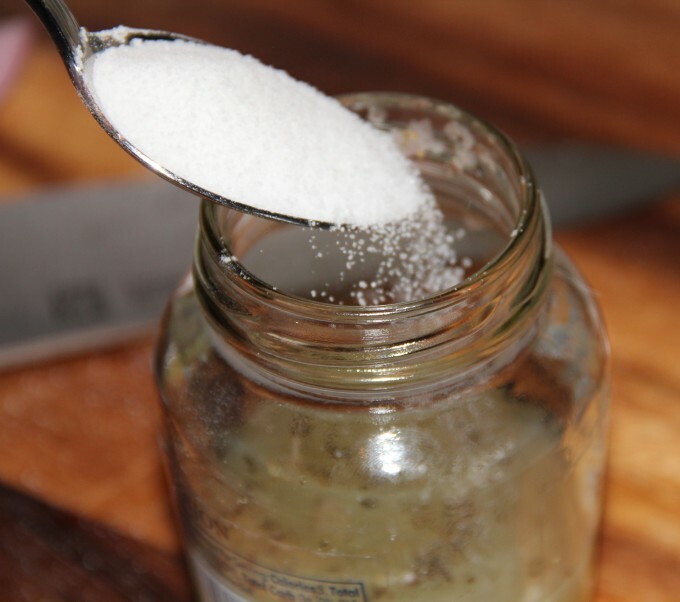 Add 2-3 generous teaspoons granulated sugar (again, dependent on container size). Add shallot or garlic powder, a pinch of salt, and a little freshly ground black pepper. 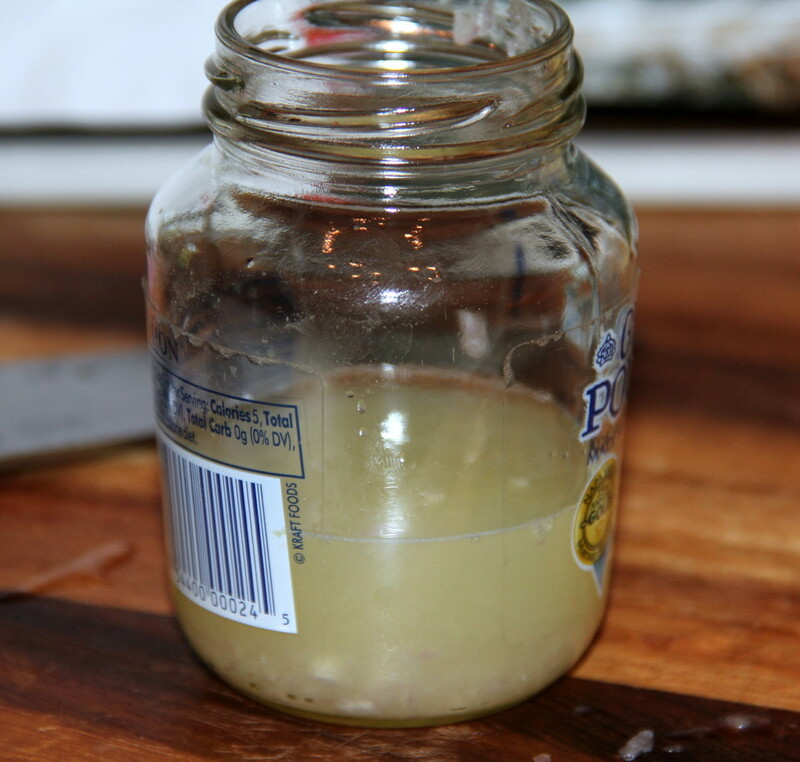 Remove cover and add olive oil to almost fill the remaining 2/3 of container. Taste and add more sugar, salt, or pepper if needed. This recipe is delicious and so refreshing ! Real French Dressing is so much better than the typical American version! So much in common…I’m a vinaigrette girl too! I make pretty much the same one except, I’m able to cheat with a garlic mustard that I purchase at Trader Joes. P.S. Thanks for introducing me to the Southern Fried French blog…So much fun reading about a Southerner in France!